The Diamondback Bicycle Recoil Full Suspension Complete Mountain Bike is a great model for the price. It arrives mostly assembled. The buyer needs to attach the pedals; install amd fasten the handlebar; put on the front wheel; install the front brake assembly, and do fine adjustments for proper clearances; adjust the seat height; and install the front and rear reflectors. The Diamondback Bicycle Recoil Full Suspension Complete Mountain Bike is an excellent beginners mountain bike. The wide handlebars provide good control; the disc brakes provide decent stopping power for off-road trails; and the solid aluminum frame is solidly built. All this for a reasonable price! The Diamondback Bicycle Recoil Full Suspension Complete Mountain Bike is a great model for the price. It arrives mostly assembled. The buyer needs to attach the pedals; install amd fasten the handlebar; put on the front wheel; install the front brake assembly, and do fine adjustments for proper clearances; adjust the seat height; and install the front and rear reflectors. You will need a Phillips screwdriver, various hex wrenches, pliers, and a cable cutter. The assembly will take about an hour and a half. Once it’s assembled, the bike is ready to use for cross-country, downhill, and city commuting, with occasional off-road trips. It is easy to maneuver over curbs and potholes. The components and suspension on this bike are of a lower grade than on a competitive model, but are adequate for an average ride on the trail with family and friends. The handlebar grips have no cushions, so they may be uncomfortable on a long ride – you may want to wear gloves. The back suspension is a simple, inexpensive spring that bottoms out with a “clunk” at times. The brakes rub against the discs slightly, making a scraping sound, especially on hard and fast turns. The derailleur clicks a little.The frame is incompatible with many auto bike racks, so transporting it might be a problem. If you want a kickstand, it may be difficult to find one that fits this bike – the frame on which the rear wheel is attached is much higher than on a hard tail mountain bike. 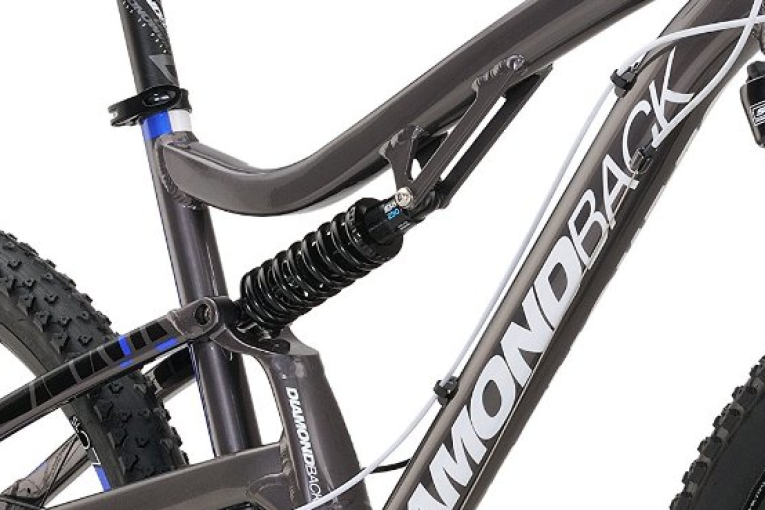 Some upgrading may be needed on the Diamondback Bicycle 2015 Recoil Full Suspension Complete Mountain Bike. For example, the stem isn’t adjustable, so you might want to upgrade that. If you intend to do any racing with this bike, you will probably want to upgrade the shocks. In addition, the rear disc brakes may be out of true and need adjustment. The front rim may go out of alignment after a few months. The biggest negative with this item is the assembly manual – it’s a confusing guide. You’re better off using the one on the Diamondback website, or going to a bike store to have the bike assembled professionally. If you do it yourself, you may also need some additional tools, such as metric Allen wrenches. The Diamondback Bicycle 2016 Recoil Full Suspension Complete Mountain Bike is a great bike for a young adult who wants to start mountain biking. It’s well-made, speedy, stable, and maneuverable. It’s a good choice for the price. Looking for the best mountain bike? Our mountain bike reviews will guide you, so that you make the right decision when choosing your next bike. 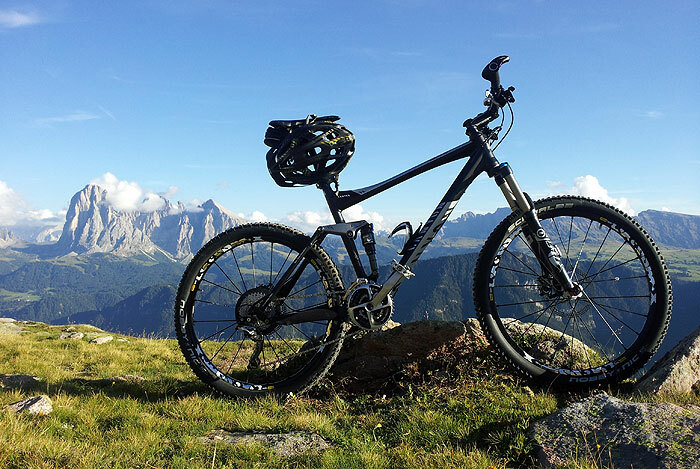 Get Discounts on the best mountain bikes !